Gluten and Irritable Bowel Syndrome: a New Link? Irritable Bowel Syndrome, or IBS for short, is one of the most common gastrointestinal problems in the US. According to one study, it affects about 14% of people, and it’s more common in women than men. IBS-M: super fun party mix of both diarrhea and constipation. IBS-M stands for IBS-Mixed; this type is also called IBS-A, for IBS-Alternating. IBS-D is the most common. 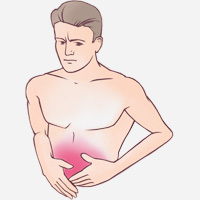 According to Medscape, of all the people with IBS, 29-45% of them have IBS-D, 27-33% of them have IBS-M, and 17-30% have IBS-C.
All of these things probably have something to do with it, but nobody really knows “what causes IBS” in general. But in the past year, a few studies have come out blaming gluten, the protein in wheat best-known for triggering Celiac disease. It’s important to make a distinction here: many previous IBS diets eliminated wheat along with other high-FODMAP foods because of the type of fiber it contains. Their theory was that the fiber in wheat could be irritating the gut. But this is a different problem. Gluten isn’t a type of fiber; it’s a protein. Here we’ll take a look at some of the newest studies connecting IBS symptoms to gluten. Three recent studies have shown that gluten-free diets have a decent ability to relieve IBS symptoms. In this study, published in May of 20106, researchers tried a 6-week gluten-free diet in IBS-D patients (remember from above: that’s patients who have more diarrhea than constipation). 20 of them were positive for the HLA-DQ2/8 genotype and 21 of them were not. That’s significant because almost all people with Celiac disease are positive for either HLA-DQ2 or HLA-DQ8. So testing that lets the researchers see whether their IBS patients also had genetic susceptibility to Celiac disease. Before and after the diet, they ranked each patient on the IBS Symptom Severity Score, which is exactly what it sounds like. In 71% of the patients, the gluten-free diet dramatically decreased their IBS Symptom Severity Score. And it didn’t matter whether they had the HLA-DQ2/8 genotype or not. Both groups also showed lower levels of anxiety, depression, and fatigue. The majority of subjects who saw an improvement chose to continue the gluten-free diet, and a year and a half later they were still on it – and still seeing the benefits. Here’s another study, from September of 2016. In this study, the researchers tested a gluten-free diet in 35 IBS-D and IBS-M patients. They also tested the patients for HLA-DQ2/8 and then put them on a gluten-free diet for 4 months. They found that 34% of patients responded with “complete or considerable relief” of IBS symptoms and again, the results had nothing to do with their HLA-DQ2/8 score. The reason these studies make such a big deal out of HLA-DQ2/8 is that it tells them whether or not they’re really just finding hidden cases of Celiac disease. If only the people with positive HLA-DQ2/8 scores responded to gluten elimination, then it would be very probable that all these supposed cases of “IBS caused by gluten” were actually just cases of Celiac disease that didn’t get diagnosed, or somehow related to Celiac susceptibility. But if the effect works on IBS patients regardless of HLA-/DQ2/8 status, which it clearly does, then you can’t put it down to undiagnosed Celiac disease. With both of these two studies, you could argue that “it’s not the gluten, it’s the wheat.” And it’s true that there are lots of components of wheat that can be problematic for some people. But take a look at one more study. This study, published in February of 2016, actually tested pure gluten (as a supplement in a pill). It’s also notable because it was bigger, with 134 subjects in total. In general, the more subjects a study has, the less likely it is to get weird results just by random chance. First the subjects were put on a wheat-free and gluten-free diet for three weeks. After three weeks of gluten-free eating, 101 of the patients (75%) reported that their symptoms improved. At this point, maybe their symptoms improved because they eliminated gluten, or maybe their symptoms improved because they eliminated something else in wheat – it’s impossible to tell. But then the patients took a “gluten challenge” where they were given pills that either contained gluten (about the amount of gluten you’d get in a pasta dinner) or a placebo (rice starch). The patients didn’t know which group they were in. Of the patients who started eating gluten, 28 of them (57%) started having symptoms again. The remaining 43% might be sensitive to something else in wheat that isn’t gluten. Interestingly, during the gluten challenge, 14 of the patients who stayed on the gluten-free diet also had their symptoms come back. The researchers put this down to the placebo effect – the patients thought they were eating gluten, so they persuaded themselves they were sick again. If they assumed similar rates of placebo response in the patients who actually got the gluten, the effect wasn’t as dramatic, but it was still there. In total, there’s decent evidence that some IBS cases can be explained by sensitivity to gluten (and/or other components of wheat, although the last of these studies used pure gluten, so you can’t blame FODMAPs or other fiber for that one). Nobody’s totally sure. There are theories – it’s nutrition, so there are always theories – but patients with IBS don’t have the kind of obvious intestinal injury that gluten causes in Celiac disease. The whole point of IBS is that there aren’t physical signs pointing to the problem (or at least, not many – recent studies have started to question that, especially regarding the gut flora). Some researchers have suggested that gluten makes IBS symptoms worse by increasing inflammation in the gut or by triggering intestinal permeability. Other experiments actually show that gluten can increase gut motility – how fast things are “moving” in there – which could be relevant for IBS-D in particular. Of course, if you’re talking about wheat and not just gluten, there’s also the question of FODMAP carbohydrates and fiber. But it’s pretty clear from these studies that there is some effect, and that it’s not all placebo even though placebo effects are significant. All of these studies were just published – they’re all from 2016. This is still a really new area of research. 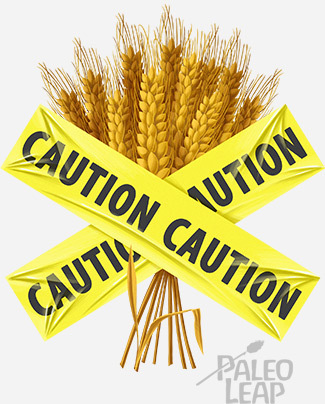 But there seems to be solid evidence that a substantial percentage of IBS patients are sensitive specifically to gluten, and that even more of them might be sensitive to wheat in general. IBS is a complicated disease with many causes – not all the patients in these studies responded to gluten-free diets, and some people get plenty of relief from other changes, like reducing FODMAPs. But for people with IBS, which is a pretty big chunk of the population, gluten elimination might be really helpful.